This First Friday, April 4th, bozART Gallery (211 W. Main St., Charlottesville) is proud to host Central Virginia Watercolor Guild’s Watercolor Show. Come out and enjoy this brand new show with refreshments 5:30-8:30 ! The show will be up through April. 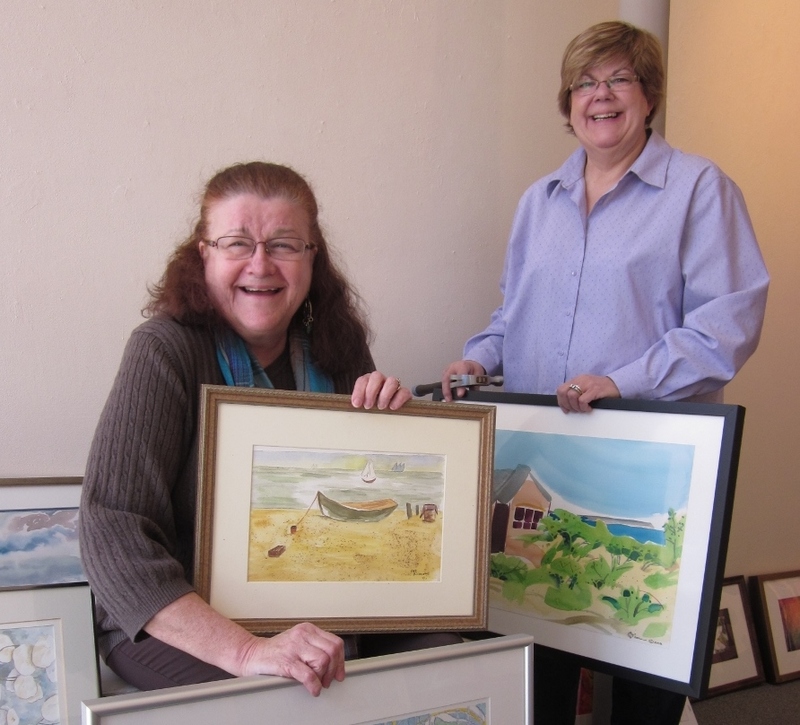 Thanks to Matalie Deane and Sue Stover (pictured left) for organizing the show. They are also exhibiting this Friday at CitySpace in a group show featuring work from create2 artists. This entry was posted on Apr 1, 2014 by miatomaine in Local Events, Shows.